Never has so much beauty and culture been packed into 1 square mile. This picturesque European-style village in the forest has long been a haven for artists, writers, celebrities and visitors from around the globe who find inspiration in the white beaches and crystalline blue waves and stimulation in the unique shops, galleries, fine restaurants and high quality arts and entertainment. The historic Carmel Mission recalls the early days of California settlement. 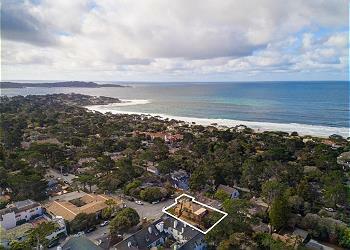 You will find homes ranging from beach cottages, reminders of Carmel's artist colony days, to stately mansions, from classic Mediterranean architecture to sleek contemporary style dwellings. Carmel is filled with dog lovers who just naturally seem to convene for morning canine cavorts on Carmel Beach. Book Now for US Open! Walk Everywhere Location! Book Now for US Open! Walk to Town! 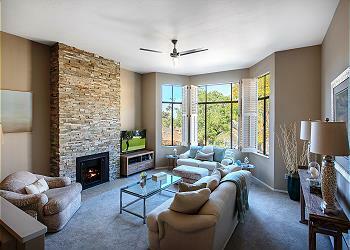 650 sf, 1 bedroom, 1 bath guest house sleeps up to 2 adults and 1 small child age 4 or under. Queen bed, 1 sofa suitable for sleeping a child. Walk 2 blocks to downtown Carmel by-the-Sea. Book Now for US Open! Luxurious! Walk Everywhere! 1 bedroom (king bed), 1 bath, heart of downtown Carmel by the Sea, small dog under 25 lbs okay. Book Now for US Open! Ocean View, 3 Blocks to the Beach!